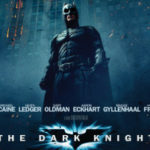 Speculative Faith | Why Are Batman and Superman Fighting? 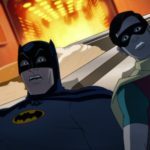 Why are Batman and Superman fighting? Why did Man of Steel have to be so “dark” and “gritty”? Superman never kills! Why are Batman and Superman fighting?1 They’re both heroes! Why did Man of Steel have to be so “dark” and “gritty” instead of happier? 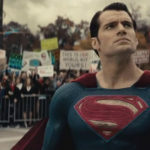 Why didn’t Superman in the 2013 action film behave more like 1970s-80s Superman? And why in the wide world of franchises did Superman kill General Zod and ignore the destruction of an entire town! He’s Superman! He’s not supposed to do that ever! Click here to read the 8-part series. These questions get explored and answered in SpecFaith’s Badfan v Superman series. This is an “animated” eight-part discussion from last fall, featuring Austin Gunderson and myself. We explain the contexts and intentions in Man of Steel. We show how Superman’s decisions in Man of Steel make much sense given his growth at the time, his hyper-realized world without easy solutions, and the crisis he faced. We compare with previous Superman movies. 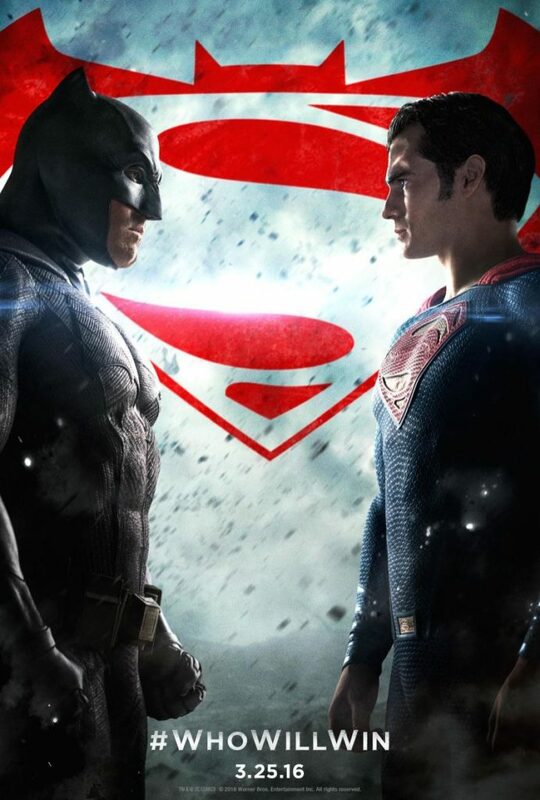 We anticipate the sequel, Batman v Superman: Dawn of Justice (March 25). Do read the whole series. But in case you shan’t, here are several excerpts. I would say that while Supes’ clothes-nabbing and semi shish-kabobing in Man of Steel are indeed illustrative of his imperfect state (mitigated by the fact that the clothes were being donated and the semi belonged to a man Supes very deliberately refrained from maiming), his destruction of Zod was both carefully calculated and supremely moral. Forget how a good hero casually murders a villain with this one weird trick. 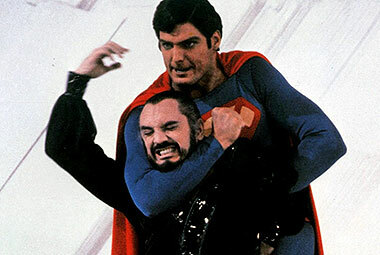 Folks who have that stereotypical memory of the Superman character should remember: in either version of Superman II, Superman turns quite selfish and jerky, surrenders his powers, and goes a-fornicating. Oh — and he kills General Zod. Yes, the Christopher Reeve idyllic Superman tricks and de-superpowers General Zod his Fortress of Solitude. Superman even pretends to surrender and vindictively squeezes Zod’s hand before throwing him to his death. Snyder didn’t want viewers checking out with the comfortable assumption that Superman’s magic would once again win the day, even if it meant breaking all the rules of physics, reality, life, the universe, and everything. No, instead Snyder wanted the viewer to nervously slip on those big red boots, put himself in Supes’ position, and find to his disquiet that it doesn’t feel all that different. The scale may be grander and the blocks and punches faster, but the same moral dilemmas apply. Do you stand in the gap though you know others won’t like it? Do you choose to turn the other cheek even though you could break the other guy with your bare hands? And, if you do, at what point does restraint become complicity? How far do you go to protect those under immediate threat? How far is too far? Man of Steel and its hero aren’t dark and brooding, only challenging. Marvel recently kicked off its own “grimdark” offering with “Daredevil” on Netflix. While it was nifty that the first film made us believe a man could fly, it was absolutely crucial for Man of Steel to make us believe a man could die. Snyder knew this; he knew that Superman’s invulnerability, narratively speaking, was his greatest weakness. But how do you scrape off that glossy sheen without sullying the character underneath? No one — least of all me — wanted to see another morally-rudderless Supes a la Superman Returns. No, to be worthy of admiration Supes has to be a bulwark. But if he’s gonna be interesting to watch, we need to see him struggle and legitimately fear for the outcome. And that’s a matter of tone. And that’s why Man of Steel looks dark and moody, and it’s why Superman isn’t allowed to just pull a Kryptonian Prisoner Nonviolent Stasis Incarceration Module, or some such nonsense, out of his hat at the last possible second. No, this is a world where Superman, because of his moral strength, is physically and emotionally vulnerable. In fact it is Man of Steel that takes Zod’s death (and the deaths of people in Metropolis) far more seriously than do the previous Superman films. Call it “grimdark” or mock it for being more “realistic” if you wish. But the fact is that it’s the more-idyllic Superman films that treat death more lightly and Man of Steel that gets closer to showing death for what it is. And if you recall the last Superman movies being less violent, it’s actually you who should check to be sure you’re paying attention to the media! Just because a story downplays consequences and tragedy and plays a victory march at the victory, doesn’t mean a character hasn’t died and likely even died horribly. Fans were criticizing the “desensitization” of Man of Steel when in fact that story was re-sensitizing them to the horror of actual cinematic city-destruction and death. And meanwhile, fans—who don’t know any better—were giving a pass to other onscreen superhero stories that arguably do treat citywide destruction and death as par for the course (it’s just a movie, folks!) and arguably do desensitize viewers. The real-world criticism of Man of Steel may be a microcosm of how we also respond to real death and destruction. We don’t want to see real horror. It makes us uncomfortable—because then we might have to make hard choices, even compromises. We might be asked to condemn or even fight real horrors beyond the ones we’re familiar with. 3. Or we might find ourselves being shoved off the “high ground” we believe we own simply because it’s a safe distance from the real-world challenges. So the reason many people dismiss the Batman-Superman showdown is ultimately the same reason people complained about Man of Steel: they prefer heroes who inhabit a separate moral universe. Batman should trust Superman “because he’s Superman, dagnabbit!” If we’re forced to watch Batman develop that trust, then we’ll have to grapple with whether we would trust Superman, too. Much easier for such dynamics to be offered up pre-cooked and pre-chewed — axiomatic assumptions that allow us to cut straight to consequence-free slugfests with villains we can all agree we’re supposed to hate. We want our heroes nonthreatening and our victories cheap. Read the complete Badfan v Superman series, or share your thoughts on superhero ethics, Man of Steel, or the upcoming Batman v Superman: Dawn of Justice below. I never even saw “Man of Steel,” but I always got irritated whenever people said the movie made Superman into a MURDERER and then explained the infamous neck-snapping scene to me. These people expected me to side with them, but I couldn’t see it as anything other than protecting an innocent third party. Dark? Sure. Murder? Heck no! Anyway, you two have done a great job on this series. I totally agree with your point in part 7; if you’re still thinking about a story days later, that’s often the sign that it was a really good story. Eric, thanks for that encouragement. I think some of this impulse arises from a view on stories I would call the “just-entertainment” notion. In other words, “This is Just Entertainment, so why should it be so challenging?” But as Austin especially contends in the full series, the idea behind “Man of Steel” was to explore a hyper-realized version of our real world, morality and tough calls and all. And in reality, sometimes you must kill an evil person to save an innocent person. We must confront this fact and only then begin to address the hows and whos and whys that apply to us. 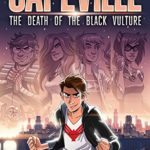 Recommended reading list on this subject, if you are into superhero ethics.